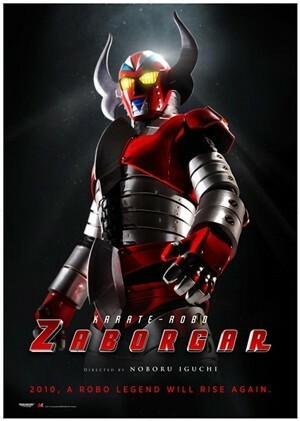 Following the death of his scientist father, secret police officer Yutaka Daimon inherits a mighty robot warrior named “Zaborgar.” Equipped with an array of super weapons, an expertise in karate, and the power to transform into a motorcycle, Zaborgar assists Daimon in his fight against Sigma, the evil organization responsible for his father’s death. After uncovering a plot by Sigma to steal the DNA of Japanese politicians and use it in a giant robot weapon, Daimon faces off against Miss Borg, a beautiful female robot under the control of Dr. Akunomiya, the twisted leader of Sigma. Despite being on opposite sides of the law, Daimon and Miss Borg fall in love—a development that spells an end to the once inseparable crime-fighting team of Daimon and Zaborgar.